Brian Main started his career in the U.S. Marine Corps in a security role guarding classified material and was awarded an ETNAC-5 security clearance. After serving his country, he returned to furthering his education at Eastern Washington University where he studied Microbiological genetic technologies. He was recalled to duty in 1991 for operation Desert Storm where he acted as a platoon commander for RTB-1, a special strike unit. When he returned, Brian started working in the family real estate business. In 1994 Brian began operating his own companies developing real estate which lead to many ventures and relationships inside and outside the United Sates. 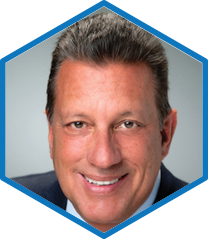 Brian has negotiated with many foreign government officials and investment groups inside and outside the U.S. and has coordinated many different business opportunities in the real estate, entertainment and business development sectors. Since 2011 Brian has worked with investment groups, lobbyist, and securities attorneys in the medical marijuana and industrial hemp industry. Brian Co-Founded with Michael Caridi Tree of Knowledge, Inc., a company that has grown from a small boutique operation into an Internationally recognized company. Tree of Knowledge has expanded their operations with their industrial hemp based brand EVR through South America, Asia, and Europe. TOK has forged relationships with many industry giants. 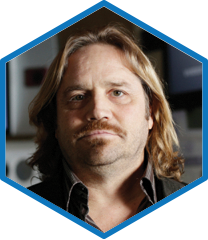 Recently, Brian has been nominated as the Gold Star Founder of the the International trading platform Marijuana SX and its affiliates Cannabis SX and Hemp SX. 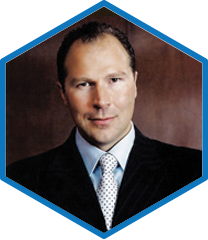 Mr. Gaillard has had incredible business success with some of the most notable companies in the world. His best known achievements include creating the Marlboro Classics brand for Philip Morris Europe where he served as a marketing manager, and creating the worldwide market segment and business model for high-margin single-serve coffee for Nestle Nespresso where he served as CEO. 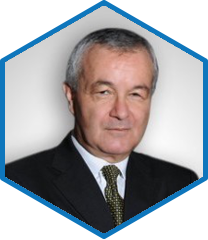 Mr. Gaillard also has experience in FMCG, consumer durables, fashion, luxury, aerospace, health, technology, and M&A. 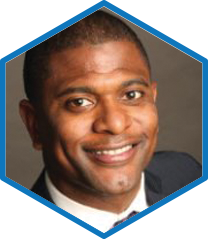 Mr. Gaillard is a graduate of the Lemania School of Business with a degree in Business Administration, as well as graduating from UCLA with an MBA in business administration. He then studied further at the International institute for Management Development and studied general management. Mr. Gaillard will now serve as TOK’s CEO. Mr. Caridi's business endeavors span various industires. He is currently Managing Director of Bedford Capital Partners, which specializes in business development & consulting in various industries. He is also chairman of MAJIC Development Group LLC and has been involved in several significant development/construction projects, many of which were for Fortune 500 clients and retailers. 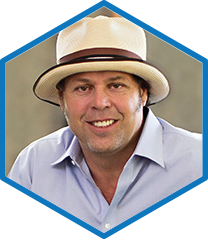 The scope of his experience and involvement includes; dealings in over 200 million dollar's in real estate projects; demilitarization and scrapping of the ex-USS Bennington aircraft carrier; roles in the development of diabetic, Alzheimer's, and regenerative skin companies; and an Educational reward app called KudZoo. Mr. Caridi is a Knight of Malta, an Honorary Mayor of Harlem, and a Member of the NYC Police Honor Legion. 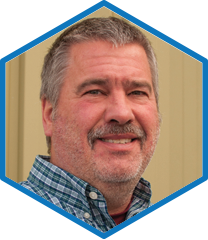 Daniel C. Olson (Dan) is an entrepreneur with a successful business track record and a keen sense for improving work processes and equipment design to increase efficiency and production. Mr. Olson and his wife started Extreme Coatings, Inc. (ECI), a successful industrial coatings contracting business in May of 2000. ECI provides specialty and technical coating services for Federal, Municipal and Private industrial clients throughout the Western U.S. Mr. Olson is an excellent project manager with the ability to plan and execute the successful completion of projects located in remote areas with little access to supply resources. Founder and CEO of The Brewer Group, Inc., an industry agnostic holding company with assets ranging numerous sectors. Through TBG's multi-faceted subsidiaries, Brewer Capital Management, Brewer Sports International and Brewer + Associates Consulting, Amb. Brewer provides investment advisory and business development services to clients spanning the globe. 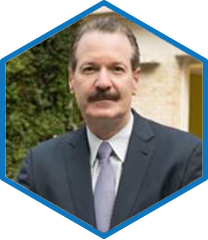 Senior Vice President of Boehringer Ingelheim Pharmaceuticals Inc.
Mr. Kaplan brings to TOK over 25 years of pharmaceutical experience that covers research, development and commercialization. 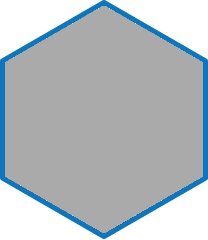 Currently a Partner in the global consulting firm of Cajetan, LLC., Chris has spent half of his career living and working outside of the US and brings a strong global perspective to the TOK team. Chris has held significant global and local leadership roles at Bristol-Myers Squibb, Novartis, Boehringer-Ingelheim, and most recently as Senior Vice President and Head of North American for Sanofi. Director and Founder of the Madison Avenue Chiropractic Center since 1980. Also serves as an Advisory Board Member for Healthcorps, working with founder Dr. Mehmet Oz to bring our youth education on exercise, nutrition and mental resilience. Mr. Guidi is a Chartered Accountant (CPA - CA) and holds a Bachelor degree in Business Administration (with Honors) from Wilfrid Laurier University. He has worked with publicly listed junior mining companies, technology companies, and other, privately owned and entrepreneurial companies. In 2010, Mr. Guidi transitioned out of public accounting and is currently serving as Chief Financial Officer, Controller and Accountant for several public companies. He is very familiar with the regulations of the TSX Venture Exchange. Formerly known as the Canadian Venture Exchange, the TSX Venture Exchange is an all-electronic trading exchange headquartered in Calgary, Alberta. David Bailey is the Founder and CEO of Web-Op. He started Web-Op, Inc. over a decade ago with just a couple of employees, focusing on SEO (search engine optimization). With its humble beginnings, Web-Op has become an international marketing powerhouse, bringing in millions in revenue each month. David is motivated by new and exciting ideas and has dedicated his career to building a company that can get the job done. Dr. Sanjay Gupta is the President of DrCircle.com and the Director of Health Time TV with more then 18,000 Medical Professionals. 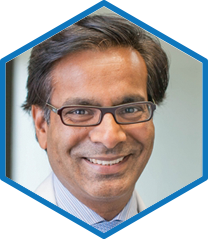 Dr. Gupta is a Harvard trained pain specialist and the President of the American Pain Association. 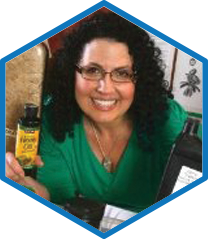 Joy Beckerman is President of Hemp Ace International, an industrial hemp consulting and brokerage firm; and the Industrial Hemp Advisor to the Northwest Farmers Union. She owned the first hemp store in New York in the early 1990’s, and was appointed to serve as the Secretary of the Vermont Hemp Council in 1996. Joy then developed an extensive dual career as a compliance and complex civil litigation paralegal working with some of Seattle’s most distinguished attorneys. Joy is the recipient of the National Hemp Industries Association’s 2014 Hemp Activist of the Year Award and works directly with law- and policy-makers. Trace Analytics is an advanced agricultural testing laboratory, focused on providing a full array of accurate and timely scientific agricultural testing services. We are committed to providing excellence in testing and consultation services to each of our clients. The Trace Analytics scientific team is at the forefront of the industry, with state of the art instrumentation, novel testing platforms, and cutting edge technology. Our high standards and dedication to accurate results help provide a strong foundation for clients to use when developing and improving their production and processing techniques. The EVR logo, "Live Your Life" slogan, and the EVR cross logo are trademarks of EVR. Any use of these trademarks is strictly prohibited. US GOVERNMENT PATENT #6,630,507: "CANNABINOIDS AS ANTIOXIDANTS AND NEUROPROTECTANTS"
The statements made regarding these products have not been evaluated by the HPRA or FSAI, Ireland. The effacy of these products have not been confirmed by HPRA-approved research. These products are not intended to diagnose, treat, cure or prevent any disease. All information presented on this website is not meant as a substitute for or alternative to information from medical practitioners. Please consult your medical practitioner about potential interactions or other possible complications before using any product.